Mini DV or HDV tape transfer. HDV. High definition video first appeared as a Prosumer format using Mpeg 2 compression onto standard Mini DV tapes. 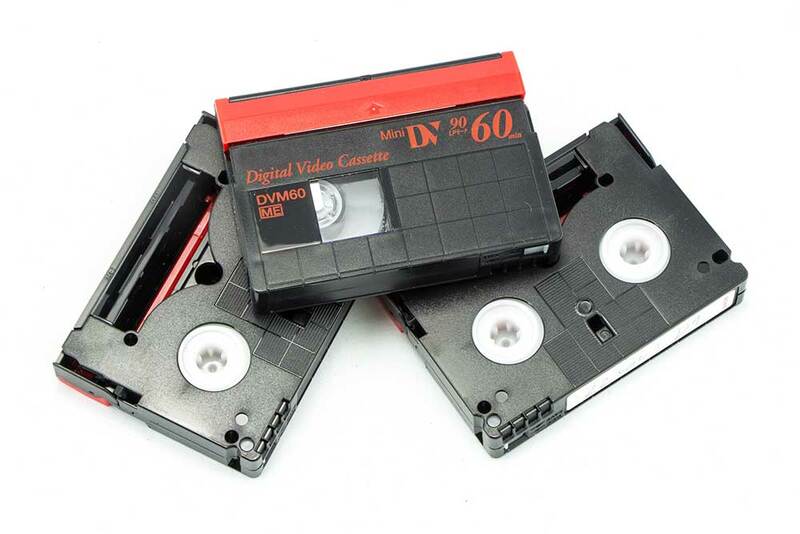 This video format used Long GOP compression to write High Definition video onto magnetic tape. This was the same tape that Mini DV camcorders and video decks used for Standard definition video. Most of the HDV video tapes had a 60 minute runtime. Please note that there is no way of telling if your Mini DV tape has been recorded in SD or HD until you put it into a deck or camcorder. A Mini DV camcorder or deck will not be able to play a tape recorded in the HDV format, but an HDV deck will play both formats. 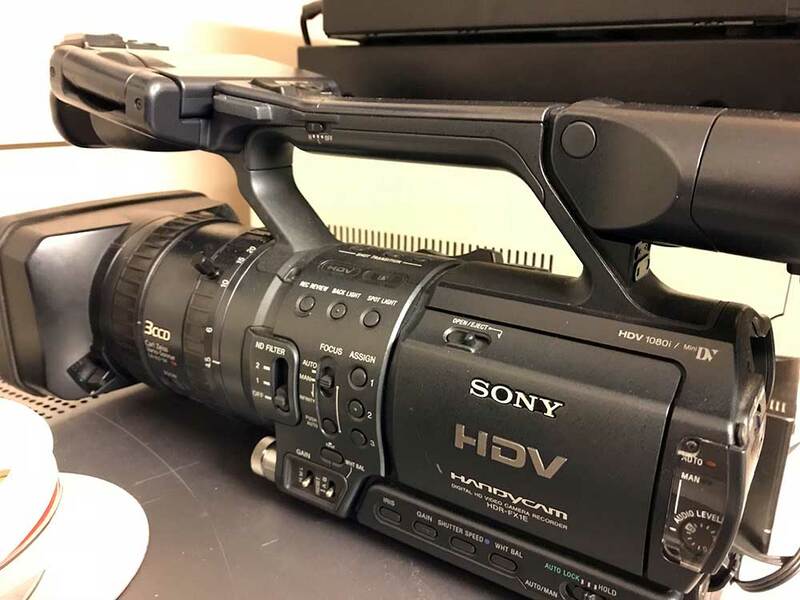 The most widely used HDV camcorder was the 3 CCD Sony Z1. (pictured above Sony FX 1 E ). To preserve the quality of the picture the best way to transfer the HDV video footage is via firewire to a PC or Mac computer. Video Image Productions capture your HDV footage using Apple Pro Res 4:2:2. This is an excellent format for video editing or transferring to DVD or HD Youtube Etc. Compared to High Defintion and 4K camcorders now HDV is still a good quality picture even if it is only 1080i. For more Information please go to Video Image Productions.